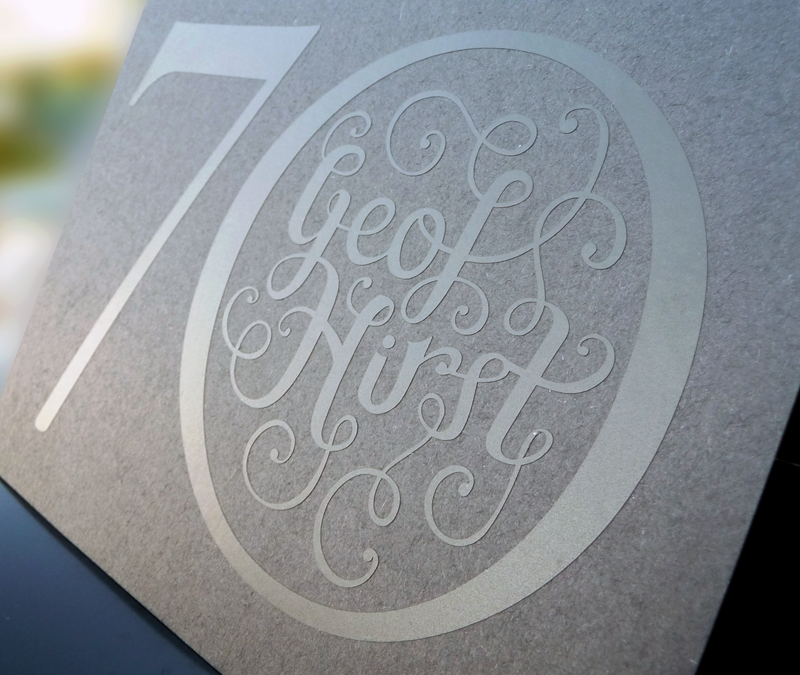 Geof Hirst is turning 70 this December and he commissioned a custom type treatment for the invitation. I started by hand drawing the design, I then scanned and vectorised it, cut it out of matt black vinyl, and applied it to the front of a folded sheet of black card. This short time lapse video documents the process from design sketch to final card. I used Adobe Illustrator to vectorise the hand drawn design and my KNK cutter to laser cut the vinyl stickers. 50 cards were made in total.